Here are some of our recent faves! Ummm yes, lentils in baking. People do it with black beans in brownies so I figured how bad can it be? T absolutely loved these, and I did too. I thought they were a little on the sweet side, but I think the sweetness helps hide the fact that you’re eating a bunch of lentils. I’m a big fan of this recipe — you throw all the ingredients in your blender to mix them up. It’s soooo quick and easy! The recipe is designed to make a loaf bread, but I just shorten the baking time by about 10 minutes and use silicone muffin liners in my muffin tin. They’re vegan, aka dairy-free, egg-free, and also gluten-free. Make these now! I just tried them recently for the first time and I’m not even lying that I prefer these to donuts. They’re not really donut substitutes, but we took my son out for donuts one morning and I decided I didn’t even want one since I had a batch of these back home. And of course, my son loved them too. These are great for either a quick breakfast or an afternoon snack! A great no-bake recipe. I love not turning on my oven in the Texas heat! These call for raw nuts but I’ve made them with roasted nuts. I’m sure they’d be delicious either way. You can buy trail mix easily, but I love making a big batch with my son’s favorites and portioning it out into baggies for the week. This version by Mom Spotted looks great. Ours looks a little different every time based on what I have on hand. I typically do a cereal or popcorn, 1-2 types of nuts, and a dried fruit. I typically skip out on chocolate just to avoid the melt factor. Which one of these recipes do you want to try? 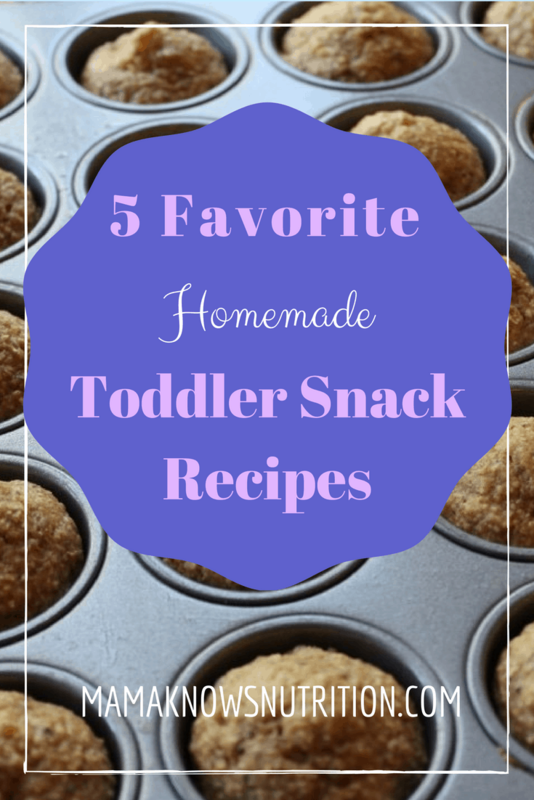 What are your favorite toddler snack recipes (or snacks for older kids)?